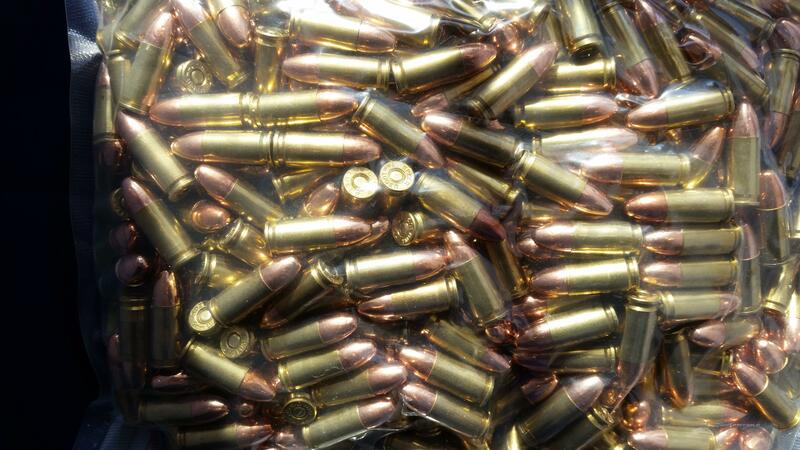 Description: 1000 4 "Battlepacks" 9mm 124gr.RN TMJ bullets that is loaded ammunition. The bullets are sized .355 and the brass is once fired and mixed headstamps. Illinois residents must have a FOID card. Missouri residents need their driver's license. I take USPS money orders or add 3% for credit cards. Get Sum........Bullets!